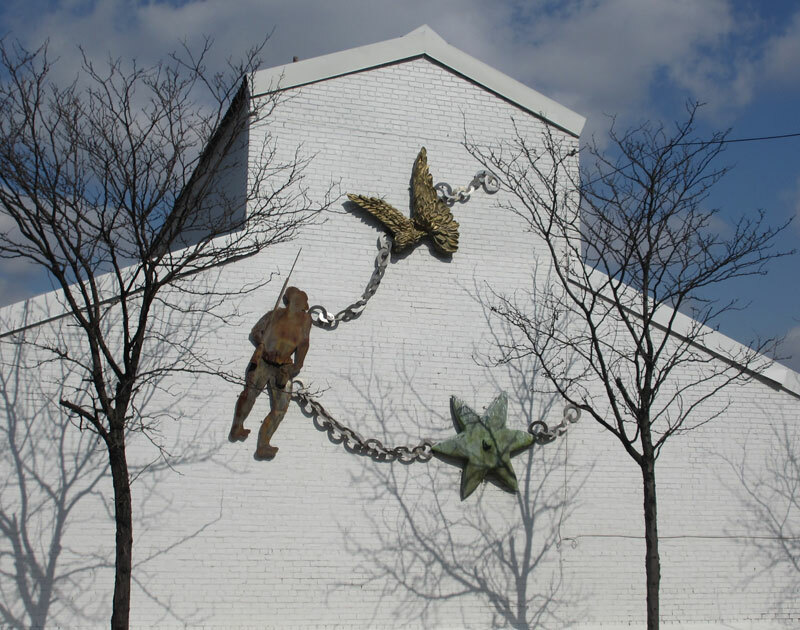 Bob Batz Jr of the Post Gazette explained this piece as three–dimensional icons that represent the community – – everything from the prevalent architectural star to the Doughboy statue. 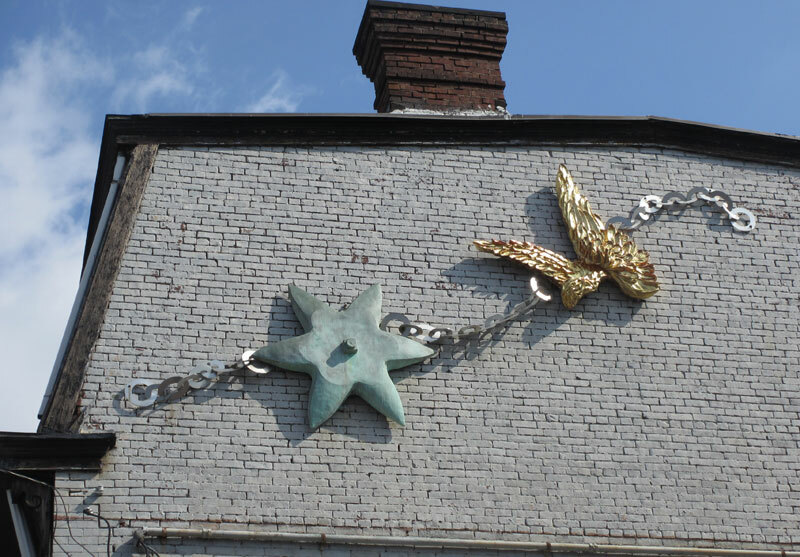 He goes on to explain that the charms were to be linked and mounted on four buildings along Butler Street. 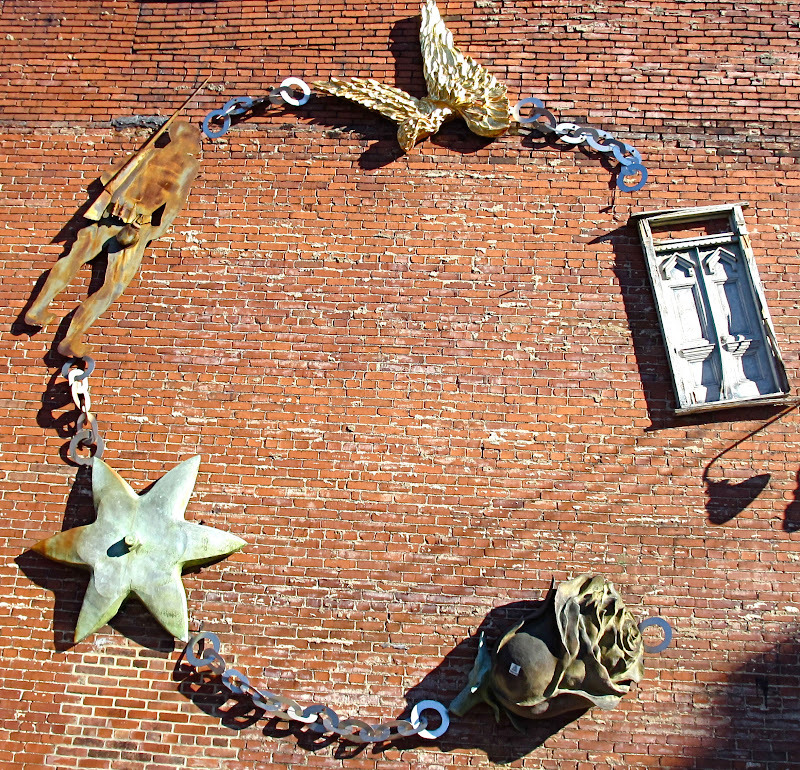 We found these charms linked, but only on three buildings.